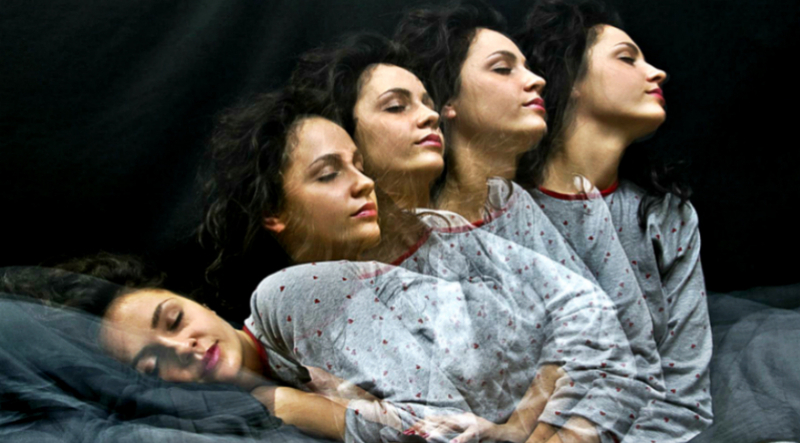 Before you drift from wakefulness into a deep slumber, there is an in between state called Hypnagogia where you can get a glimpse of your subconscious thoughts. It is an opportunity for self discovery and spiritual growth. Derived from the Greek words ‘hypnos’, which means sleep, and ‘agogos’, which means leading, it’s a state that leads to sleep. But hypnagogia doesn’t only serve as a door that allows you to enter into deep sleep, it also opens the doors of your psyche’s deeper layers. This state is perfect for diving into your subconscious thought process because the editing voice and curator of thoughts is inactive at that moment. The writer Mary Shelley and inventor Thomas Edison are among the famous artists who used the power of hypnagogia in their creative endeavors. Edison, in particular, used to sit with a brass ball in hand and woke up once the object fell and hit the floor. Being awakened from the hypnagogic slumber, Edison wrote down the thoughts and images that existed in his mind from that trance like state. You can seek patterns, interpret emerging images, and come in contact with the fragmented aspects of your self as you observe your unconscious mind and explore what it contains. The following steps can help you in this self discovering endeavor. Before going to sleep or taking a nap, prepare your mind by thinking about the things you want to explore several minutes before you sleep. Let’s say, if your struggle is finding happiness, set an intention of exploring the mental beliefs that block you to achieve happiness. You can write your intention down for clarity or you can meditate on it to better prepare your mind. Step 2: Prepare and get a journal. If you prefer to write your experience, have a journal beside your bed or chair. You can also use a sketch pad if you want to sketch the images that may surface during the experience. Recording your experience through a voice activated recorder is also a good option. Assess yourself on how long it will take you to fall asleep. If you doze off easily, set your alarm to 10 minutes. But if you think you will need enough time to fall asleep, then you can set your alarm to 20 minutes. If you do this exercise often, you will soon find the exact number of minutes to set your alarm. It’s also much better to choose a gentle alarm and not a loud ringing that may cause you to jolt. Step 3: Begin to fall into a sleep state and observe your mind. Lie down on your bed or sit on your chair and make yourself comfortable. Relax your body and make yourself be still. Let your mind drift into a dreamlike state where a kaleidoscope of images, sounds, and colors dance in your mind. Your intention here is not to fall asleep, so keep it calm once the alarm goes off. While it’s nearly impossible to observe your mind as your consciousness slowly fades, anchor your awareness by sensing your breath and by feeling the rise and fall of your chest. This may be difficult at first but with constant practice, you’re able to master the skill of noticing what’s going on. Step 4: Record immediately when the alarm goes off. As soon as your alarm rings, start to record everything that you hear, see, feel, and experience. Do it immediately to avoid forgetting what transpires in your hypnagogic state. As you reflect on the things that you have written, sketched, or recorded, be aware of the thoughts and feelings that come up in your mind. Watch how you react to every piece. A strong physical or emotional reaction indicates the right interpretation. Having an interpretation that inspires, excites, or shocks you also indicates that you have interpreted it correctly. Jungian analyst Robert A. Johnson stated that the best way to tell if you have interpreted a dream imagery correctly is by the level of energy behind it. Which means, an interpretation that feels flat, dull, or lifeless could be wrong while it could be right when it makes you feel alive and thrilled. You must also be aware that a hypnagogic imagery is unpredictable and can be extremely abstract or straight forward, making it hard to interpret it. At times, it can also be irrelevant to the kind of intention you set. Just continue with your practice until you get your answers. If what you find were irrelevant and unrelated, allow them to sit for a few days. You may find them symbolic and meaningful once you revisit them. Step 5: Meditate on the things you discover in yourself. The last step to take after interpreting your hypnagogic content is to reflect on the lessons, symbolism, or pieces of advice you receive. Take time to sit and meditate on them. Write down your thoughts and experiences in your journal. This is all part of deepening the knowledge you have about yourself. As you continue with your hypnagogic practice, you will come to appreciate the endless potential of this fascinating world and how it can help you to grow as a person, receive guidance and answers to your questions, as well as gain peace and wholeness.